Pour the milk, brandy, egg yolk and simple syrup into a cocktail shaker filled with ice. 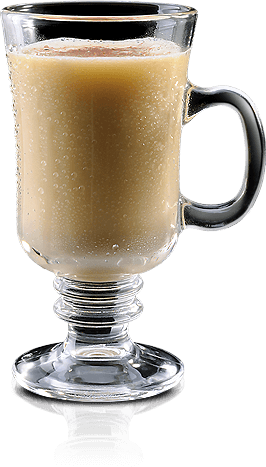 Shake well and strain into a stemmed coffee mug. Garnish with fresh grated nutmeg on top.